Though they're available year-round radishes are at their delicious peak in spring. These juicy, pungent, and sometimes sweet little root vegetables come in a rainbow of colors - red, white, purple, black - and are wonderful eaten raw, roasted, pickled, simmered. Even the stems and leaves are edible. 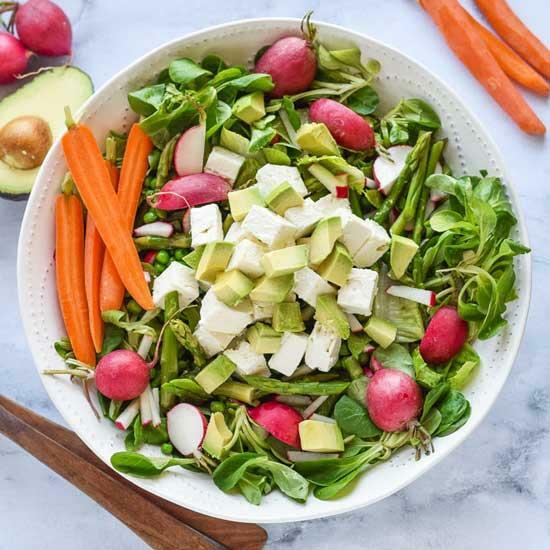 Radishes, in all their colorful glory, offer a bevy of health benefits as well. They're a powerful detoxifier (hey, we can spring clean our bodies too! ), are good for the stomach, liver, skin, cardiovascular system, and more. They're also high in fiber, making it a great diet food (swimsuit season is around the corner!). 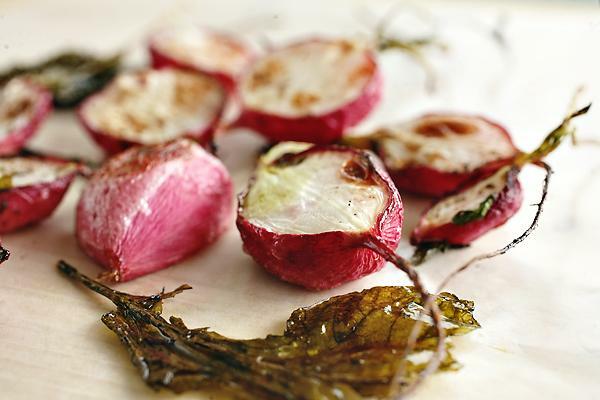 Toss radishes in a bit of olive oil and a sprinkle of good salt and roast them, along with their stems and leaves, for a simple and tasty side dish. 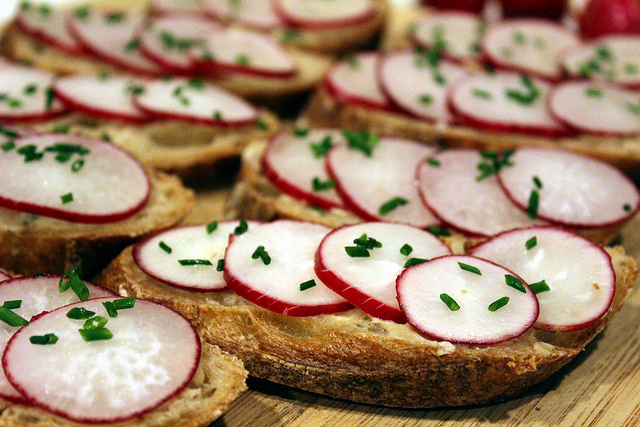 For a quick and delicious snack or appetizer, slice up a baguette, smear each piece with a bit of anchovy butter and top with thinly sliced radishes (watermelon radishes make the prettiest presentation! ), and some finely chopped chives if you like. 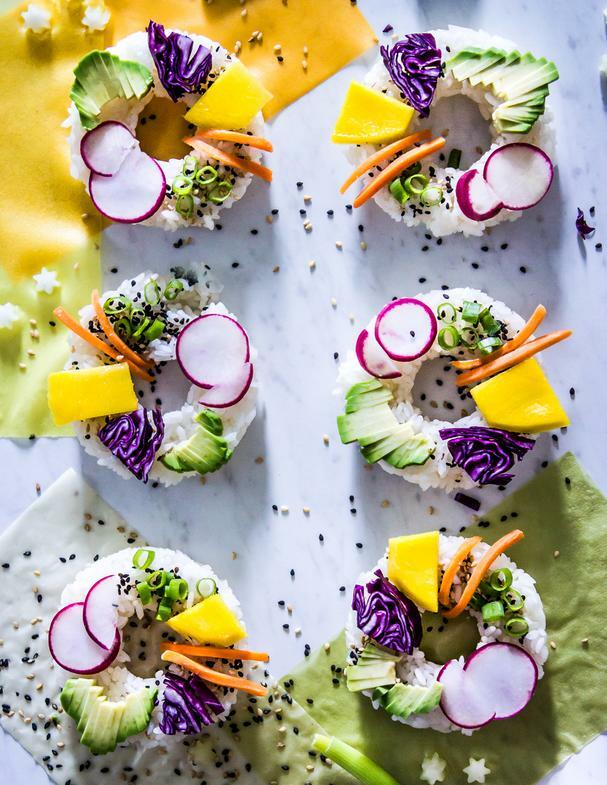 Layer rings of rice (doughnut-style) with colorful fruits and vegetables like mango, radishes, purple cabbage, carrots, avocado, and green onion for a fun vegetarian take on sushi. 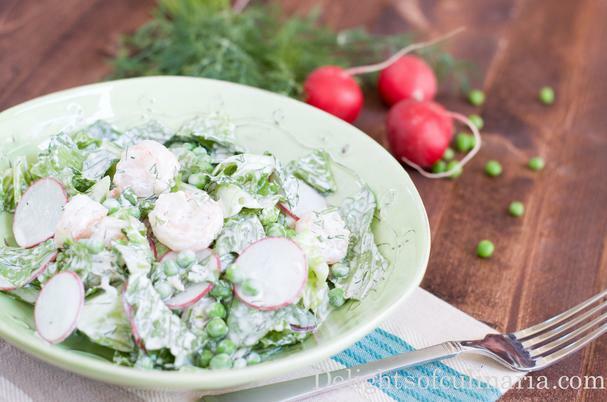 Toss radishes, shrimp, and peas with a creamy herb yogurt dressing, or fill a bowl full of tender mâche and sweet Romaine lettuces then top with a garden full of springtime vegetables like asparagus, peas, and radishes. Get these delicious recipes from our community members below.